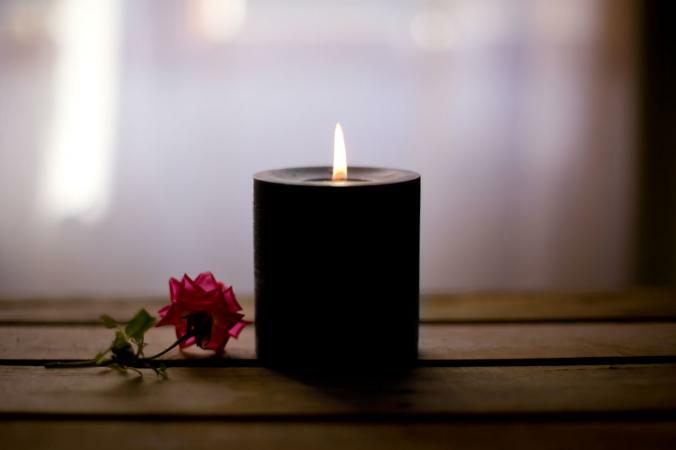 Black candles get a bad rap since they are so often associated with dark forces and energies. 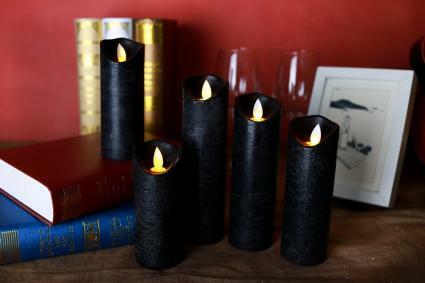 Contrary to this misconception, black candles can be used in décors to complement existing design features as well as serve as tools of protection. A black and white themed room demands a black candle or two. A 1920s black and white tiled kitchen with white cabinets is a perfect place for a pair of black pillar candles set on a sparkling white candle holders. Just set this pair on the built-in desk or on the kitchen island for a touch of sophistication. A modern living room featuring design elements like a white leather sofa, mirrored end tables and a zebra rug is an ideal place to set a glass or silver candelabra with black taper candles. A bedroom designed using features like black and white bedding, a black upholstered sleigh bed and an acrylic night stands makes a great place to set a black pillar candle on a white pedestal candle holder. You can make an outside dinner party extra special with black candles. Use black taper candles set in black candlesticks for a centerpiece down the length of the table. As night falls, the candlesticks and candles blend into the darkness. The flickering flames create a mystical and otherworldly ambience that your guests will appreciate. Place a small candle on a bathroom counter for a nice touch. 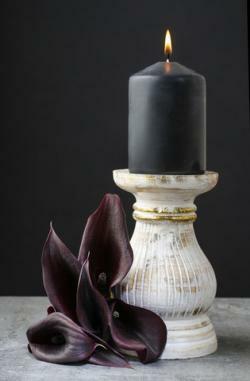 A beside table becomes picturesque when you place a black taper candle in a pewter chamberstick candle holder. You can dress up a front entrance with a silver candelabrum on a console table supporting black taper candles. A dining room buffet can support a pair of candlesticks with black candles. It goes without saying that black candles find a welcomed home with any Halloween celebration. If you ever wanted to use black candles and felt like you needed an excuse, this holiday gives you that and more. It's believed that since black absorbs all colors it will in turn absorb negative energies. The black candle absorbs those negative energies and then destroys them with the candle's flame. 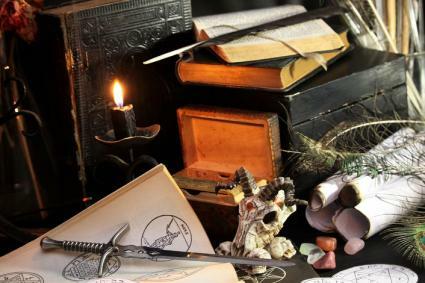 In the book Shadow Magick Compendium; Exploring Darker Aspects of Magickal Spirituality, Raven Digitalis writes, "When banishing harmful influences, Witches burn black candles to vanquish the energy into the Abyss, and magicians of all types use black as a general protective shield." Òrìsà Priestess Aladokun writes that Native American tribes use black as a symbol for an Earth Element and that it is a color vibration that comes from the depths of Earth. During the 1800s in Brazil and other countries, black candles were lit during wakes and funerals. The burning of the wax was part of the funeral expenses. The cost was determined by how much wax was melted/burned, with the leftovers returned to the church. Special black candles were burned during the ceremony. The more wax burned, the greater the honor was paid as a tribute to the deceased. There are a lot of myths surrounding black candles. Candle spells are cast using black candles as well as other colored candles. The candles aren't harmful. It's the intentions of those burning them that counts. 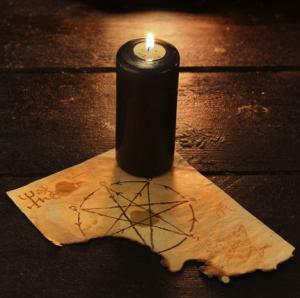 For example, an article on Black Candle Meanings warns to never use a candle by yourself and states that only Satanists and witches practice burning black candles alone. The article explains that black magic isn't the only magic that can use black candles. Intent is the underlying power of candle use and spells. White magic and simple prayers to God can be made using black candles with other candles for specific purposes/intentions. These uses are deemed to be for good purposes and never evil. Black candles have been used for many purposes. The brighter side is the many instances when a black candle can be a good choice for a decorating statement or a positive intent.